Are you tired of searching the MLS for REOs and then getting into a bidding war with other investors or having the properties sold before you can even get your offer submitted? “Stupid money” is back in the market. Are you tired of seeing properties going for 20+% over listed price because of multiple offers? Tired of no/low equity deals where you have to wrestle with the bank to do a short sale? Tired of watching the lender sell the same property at the courthouse steps for less than your short sale offer? If so, you might want to consider other purchase options. Atlanta REIA is pleased to announce that Attorney Matthew Lettich will join us at the new Active Investors Group on July 2nd at 3:00 PM at the “meeting-before-the-meeting” to share his insider secrets of investing in bankruptcy properties. We will discuss the different types of bankruptcy as well as the various opportunities and pitfalls. We will discuss how to locate prospects and create opportunities in this little known area of investing. Matthew Lettich is a practicing Attorney whose area of practice is primarily involved in bankruptcy representing both debtors and creditors. 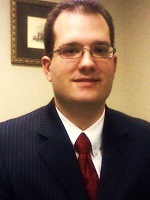 Mathew is affiliated with John J. McManus & Associates, PC. Their main office is located in Tucker, however Matthew is fairly well known in Gwinnett County since he has spent most of the last three and a half years practicing in the field of bankruptcy in Lawrenceville, where they currently have a satellite office. The Active Investors Group is a new educational and networking group, led by Gordon Catts, that meets once per quarter at 3:00 PM in the private meeting room at Total Wine & More located at 124 Perimeter Center W in Atlanta, GA before the Main Atlanta REIA Meeting. Gordon will be showcasing various, lesser known real estate investing niches so you locate profitable deals that have not been picked over by the hoard of investors entering or re-entering the market. At 5:00 PM, Total Wine & More will be offering a complimentary wine tasting to all those who attend our meeting and wish to participate. There is NO CHARGE to attend this meeting or the wine tasting for Atlanta REIA Members and guests.